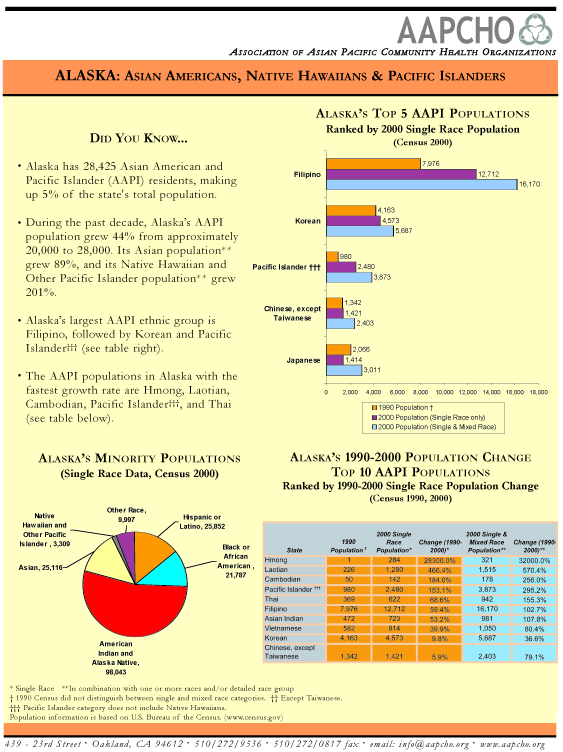 AAPCHO is proud to present a series of fact sheets designed to provide population and socioeconomic information on Asian Americans, Native Hawaiians, and Pacific Islanders in the United States and in selected states. These fact sheets were developed with the purpose to increase awareness of current trends in AAPI populations. AAPCHO compiled these fact sheets from U.S. Census Bureau 1990 and 2000 data.